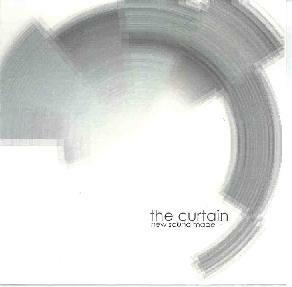 The Curtain - "New Sound Made"
From Sweden, The Curtain is Daniel Carlsson (guitars), Johan Carlsson (electronic & acoustic drums), Stefan Juhlin (vocals), Oscar Olsson (bass), and Jan Mårtensson (acoustic drums). These guys have a real alterna vibe going. They are all rather short songs (4 min or less), vocal and lyric driven for the most part. There is one 8 min piece, "Ddelores", where they kind of go into a musical free-for-all and then gradually come back to the lyrics. The next track, "J.C.D.C", is a bit of a sound collage, with no real vocals. So, while The Curtain isn’t strictly prog, their music is very interesting. For the most part, it’s alterna, mixed with good playing and solid writing and interesting arrangements. I’d like to think that prog had a bigger impact on the overall music scene in Europe. I think that’s why many non-prog European bands, like The Curtain, have a subtle proggy feel to their sound. It’s a very fresh way to do what could be considered current music. If you like alterna that’s a bit more interesting, then The Curtain is for you. For more information you can visit The Curtain web site at: http://www.curtainmusic.com. Contact via snail mail c/o Daniel Carlsson; Malmg 7 B; 633 55 Eskilstuna; Sweden.